BLVDAVE: Gaming News: Trailer for NBA 2K12 hits the net ! 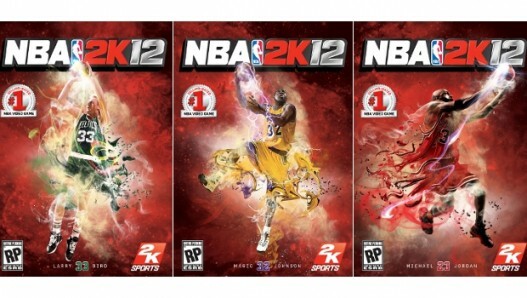 Gaming News: Trailer for NBA 2K12 hits the net ! Having Michael Jordan in NBA 2K11 was a huge success, so 2K games is keeping that train of thought going with the release of NBA 2K12 !! Not only will MJ have cover duties again on '12, But both Magic Johnson and Larry Bird will appear on their own separate covers for this years release as well !! With all of the NBA's premier talent signing contracts overseas for this coming season due to the lockout, it might be worth your time on October 4th to go out and cop this !!! !